I love listening to people when they tell me about their dreams to travel Route 66. Hearing their ambitions takes me right back to when my husband, Dave, and I were planning our own road trip, and all the fun we had imagining the places we’d see and the friends we’d make along the way. It makes me even happier when I hear from those actually in the process of booking their adventure – the people who are set to make their dreams a reality. But during these conversations with those who are yet to drive The Mother Road, it always surprises me just how many misconceptions they have about what it will be like drive Route 66. The same inaccuracies, myths and misinformation come up almost every time. So in this post, I’d like to try and change that. Here are four misconceptions I really want you to get straight before driving Route 66. In most cases, no you won’t. Route 66 was formally decommissioned as a highway in 1985 and so does not exist as one, long continuous road on modern-day maps. Thus, unless you go to the trouble of downloading and installing the waypoints yourself, the true Route 66 path won’t be accessible via sat nav. If you do try and follow The Mother Road via your sat nav, you’ll likely be diverted onto the fastest route – the interstate. The antithesis of Route 66. You’ll miss a lot of good driving, roadside attractions and fantastic scenery. You won’t travel on what’s left of the original road, and might as well do any other road trip across the USA; driving Route 66 is all about visiting America’s small towns. 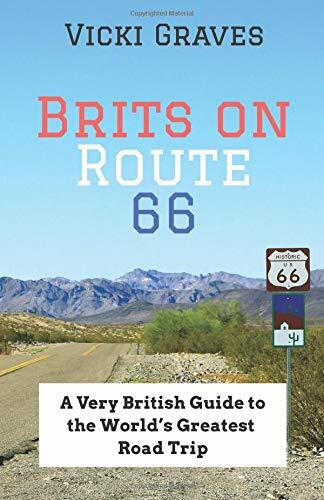 If you don’t believe me, check out my book Brits on Route 66 to hear what happened when two bikers relied on their sat nav. Instead, I (and the majority of Route 66 fans) suggest you pick up a copy of Jerry McClanahan’s Route 66: EZ66 GUIDE For Travelers for turn-by-turn directions. We followed it for the duration of our trip, with only a few instances of getting lost. Route 66 Navigation has released an app to help travellers follow the route, but developers state it’s not designed to replace guidebooks. Much of Route 66’s signage was removed when the road was formally decommissioned. Thus, despite the route being a major American tourist attraction, US officials are under no obligation to replace road signs along original Route 66. Although some sections proudly boast an excellent stock of signage to point you in the right direction (we found New Mexico particularly well-signed), many don’t. You are most likely to see these on the sections now designated National Scenic Byway across Illinois, Missouri, New Mexico, and Arizona, but you should not rely solely on these to get you from Chicago to Santa Monica. They are often stolen. Again, grab a copy of the EZ Guide (and leave any road signs on the side of the highway, where they belong). Most travellers take between two and four weeks to drive Route 66. Although that may be enough time to see most of the road’s attractions, you’d need a lot longer to visit everything. Even if you have more than a month for your road trip, there will still be somethings you'll miss. Not every attraction is open all day, every day, especially off-season (October to April) and small businesses sometimes choose to shut early if there isn’t much passing traffic. Adverse weather and road-works can cause diversions (we missed a large chunk of California 66 due to flash flooding) and, if you’re counting on seeing some of Route 66’s famous personalities, remember that – just like you – these people deserve a day off work every once in a while! Thus most people who drive Route 66 have to accept that they will need to compromise. Prioritise the must-see items on your personal itinerary, then relax and see what else you find along the way. Every traveller is different. Some are planners (like me) and others are more spontaneous (I can do that too!). Thus everyone has their own approach to taking a Route 66 road trip. But no matter how much you like to go with the flow, there are somethings it’s best not to ‘wing’ when driving Route 66. For example, you should have at least some idea of where you can refuel your car before setting off each day – gas stations (and refreshment stops) can be few and far between on some stretches. Also, some towns felt safer than others to us, so I would recommend having a rough idea of where you want to stay the night before planning your mileage for the day. So although spontaneity can rule most areas of your trip if you so desire, a little research would serve you well. Good luck planning your road trip adventure – hopefully the above advice has been useful in ensuring that you don’t fall foul of some of the most-common Route 66 mistakes.